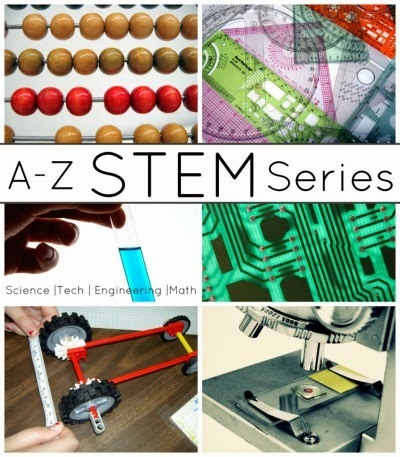 I am excited to join other kid bloggers in a great Kid STEM Activities series. Today I am going to talk about raising geeks and the ways to encourage your kids’ interest in “hard” subjects of science, technology, engineering, and math. : a person who is socially awkward and unpopular : a usually intelligent person who does not fit in with other people. : a person who is very interested in and knows a lot about a particular field or activity. In other words, being a geek is both a burden and a blessing. As parents, we have an honor to encourage our children’s passions while also trying to teach them to be aware of the needs and interests of others. How do we do that? Read on. Can You “Make” Your Child a Geek? Personally, I believe that geeks are born, not made. Yes, every child is naturally curious about the world around us, but some kids are a lot more focused in their interests and go very deep, even at a young age, to find answers to their questions. The downside of this intense pursuit is that anything else might be just “noise'’ to their focused minds and that many required tasks of everyday life seem nothing more than unwanted distraction. In our family we jokingly call it “brain on vacation” effect, but, in fact, brain is not on vacation, it is just consumed with something that has little to do with the tasks at hand. Do All Geeks Love Science and Technology? It's a difficult question for me! I am yet to meet a self-professed geek who would say that they are not interested in science or technology topics even if their major interest is art or, say, history. I think geeks love technology because it takes their interests to the next level. Isn’t it amazing to understand the mechanics behind the construction of ancient pyramids or visit museums of the world without leaving your couch? Computer science and engineering geeks of my generation gave gifts to our geeky children that seemed science fiction just 30 years ago. Are Boy Geeks and Girl Geeks Different? I am curious what my readers think about it, but in my experience, boy and girl geeks are very different. I think that most girls are more “versatile” when they are young and more inclined to try different things out. It doesn’t mean that we cannot get lost in our personal passions and disconnect from reality, but I think girls transition easier back and forth between their "geek domain" and everyday tasks. Also, I think that girls develop those overwhelming passions later than boys. I remember my own strong geek passions in chemistry and computers developing only in high school while before I was just a normal “book devourer”. Do Geeks Play A Lot of Video Games? I will have to get on my soap box and tell you that I don’t believe in electronic games of any kind for preschoolers. Every minute your children spend playing a traditional video game is a minute that they don't spend in hands-on play, thinking their own thoughts, exploring outside or hanging out with friends. It’s different if your older child is interested in games that allow “world modification” such as Minecraft. It’s even better if your little geeks are interested in writing their own games. The bottom line for me is that geeks enjoy computer and video games, but their parents should set boundaries on that hobby to leave time for more productive passions. Are There Special Toys and Games for Geeks? The best toys for geeks are open-ended toys. If I were to choose just one, I’d choose simple wooden blocks for the youngest geeks and Duplo/Lego for older kids. I also think that it is worthwhile to introduce your school age kids to coding and computer-based research sooner rather than later. How Do I Encourage My Geek’s Passions? The best gift you give to your young geek is not yet another STEM toy. It’s a gift of time and presence. Our children need time on their own (or with friends and siblings) to explore their interests and they also need our feedback and acknowledgement. They need to feel that you take their interests seriously even if they might be different from yours. Answer their questions if you can, look things up on the computer together if needed, take them on a field trip. By all means, try to introduce them to something completely different to expand their horizons, but don’t be surprised if they don’t “take” to the activity you suggest or if they choose their own take on it. I also believe that it’s important to show our young geeks that we have our own passions to pursue in our free time. My daughter learns a lot when her father designs and makes his paper houses or when they build amazing structures from loose Lego blocks together. But What If My Child Is Only Interested in Fantasy Worlds? Let them dream! It’s awesome that your little fantasy geeks have unlimited imagination. It helps, of course, if you have at least a general idea about the books or movies that your children love, so you can understand your child’s fascination with them. If your child’s fantasy world is based on movies, he or she might find an art and science of special effects endlessly fascinating. We enjoy watching movie making extras on our Blu Rays almost as much as the movies themselves. How Do I Help My Kids to Find Friends? Remember the definition of geeks? They don’t necessarily fit with other people. But it doesn’t mean they cannot find their tribe. When our geeks are young, they need some logistical help from us, their parents. One of Smarty’s friends is deeply into domino toppling, so his Mom put together a Saturday bi-weekly domino club. Smarty had only heard of domino toppling because M constantly talked about it in school, but she was delighted to join the club. Has she become a domino toppling geek? No, but she can appreciate the activity (and tolerate talking about it) much better now. 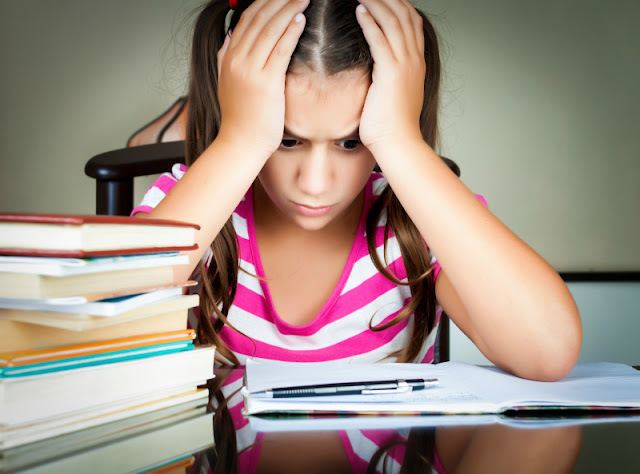 Another option of finding your tribe is through organized extracurricular activities, but it can really be hit and miss, since usually kids are more focused on their passion than on socializing with strangers. Still, that magic “you too” click is more likely to happen when kids are interested in the same subject. Do you consider yourself a geek? If yes, what are your deep passions? My geek passions are way more than I can list. That Patrick Stewart picture gets me every time as I mentally correct it and laugh and be outraged. I originally saw it captioned as "How to offend multiple geek kingdoms at once," or something along those lines. Ditto what Tricia said about the poster. K was so thrilled to find LOTR fans in her art class. Geeks are everywhere and they look like normal people around here. Very few non-geeks, I mean. So no need to make a distinction especially things like "engineering toys for girls". That too seems wrong just like the poster. I'm not sure, but I think the real definition of a geek is a person who will point out to you that the word "geek" actually refers to a half starved drunk, who would bight the head off of chickens in old time circuses. Not that that's the first thing that comes to mind when I hear the word, or anything :) I may or may not have Googled the word - just to be sure, though. This is good stuff! I've been meaning to tell you that I've used some of your lists to get gift ideas for my PreK daughter (magnatiles, snap circuits, etc.). It's not clear to me yet if she's going to turn out to be a geek, but I did learn through the recent "Hour of Code" that she is already fascinated by coding. So we'll see... For Christmas she asked Santa for a toy crane, and he was happy to oblige. Great post, Natalie! I love that you point out that the best gift for geeks (and anyone, really), is the gift of time. What an entertaining read! Love the thorough examination of geek-hood! A great read, thanks for sharing! Thanks for linking up at STEM Saturday! Please come & link up again!